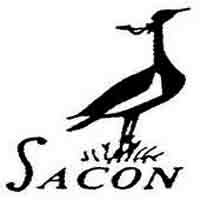 The Sálim Ali Centre for Ornithology and Natural History (SACON) is a Centre of Excellence under the Ministry of Environment, Forest and Climate Change, Government of India. SACON wishes to engage research personnel (Indian National only) for the following research projects through a walk-in-interview on 17.04.2018. Description of Work: The selected candidates are expected to undertake Forest Owlet surveys and conduct laboratory work as per the requirements of the project in different landscapes of the country and assist the Principal Investigator in project activities. Candidates applying for any of the above positions should possess the Essential Qualification as per the details given against the position. Candidates willing to apply for more than one advertised positions should submit separate filled-in application form along with photocopies of all testimonials. The selection of the candidate(s) will be based on the walk-in interview to be held at SACON, Moongilpallam, Anaikatty, Coimbatore, Tamil Nadu on 17.04.2018. Candidates should report to the venue at 09.00 am on the interview day.